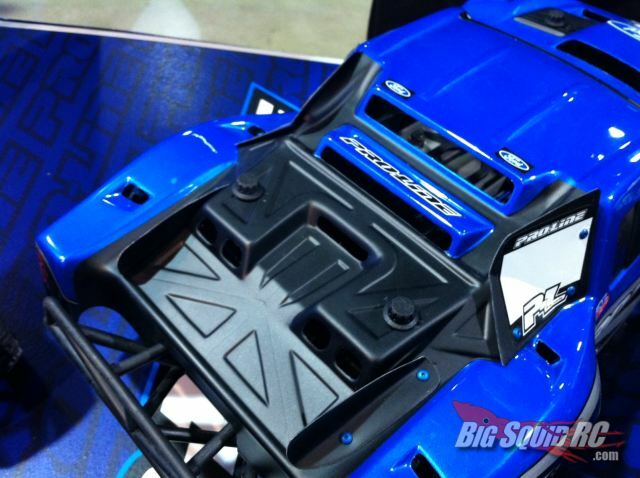 RCX 2012 – Something else new from Pro-Line « Big Squid RC – RC Car and Truck News, Reviews, Videos, and More! Sometimes it’s the small things that get us the most excited. 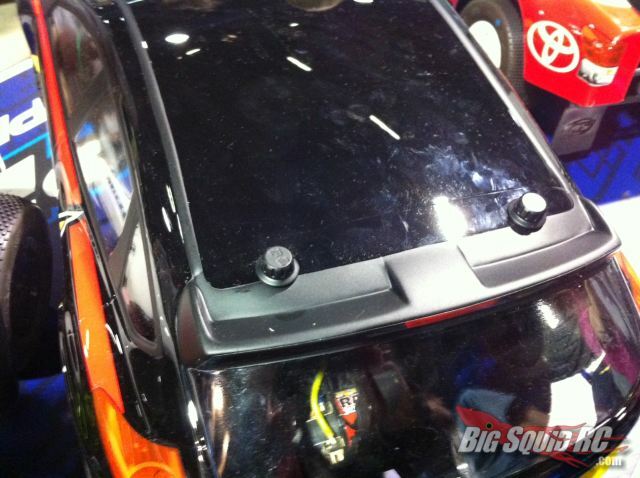 As if their new performance transmission for the Slash and Stampede wasn’t big enough news, Pro-Line is also showing, for the first time, these new clipless body mounts. Rather than using a traditional body clip to hold the body on the post, these new mounts have a twist on cap. Advantages of this you ask? Well, how about no more tiny body clips stabbing you under the finger nail as you try to push them out. Or maybe you won’t have to worry about a clip tearing through your body on a hard landing. Those are two I came up with, I’m sure there are others. These haven’t been officially announced yet, so we don’t have many details, but they are apparently required for the new Ford Focus body that Pro-Line has coming.